Notre Dame of Paris, is one of the most famous Gothic Cathedrals in the world , if not the most famous. We visited it three times in four days in Paris so D could get photos with just the perfect lighting. 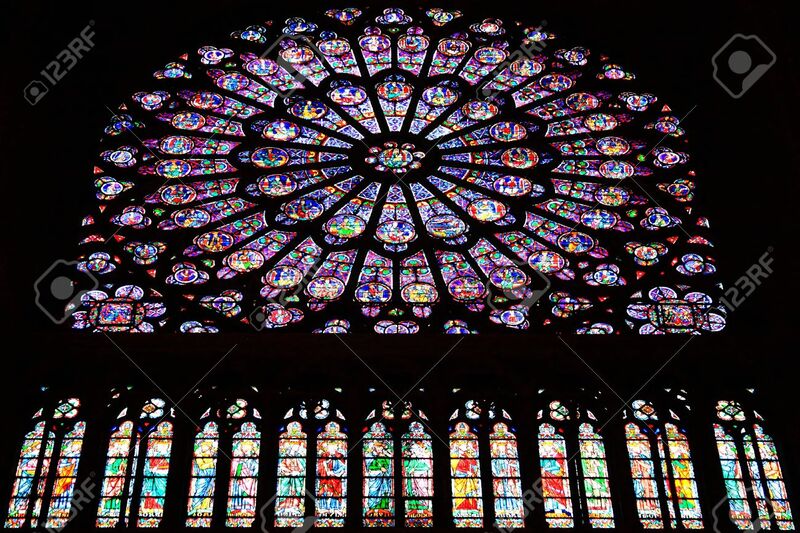 The spectacular rose windows date back to the 13 century. The construction began on the church in 1163 and was completed in 1345. 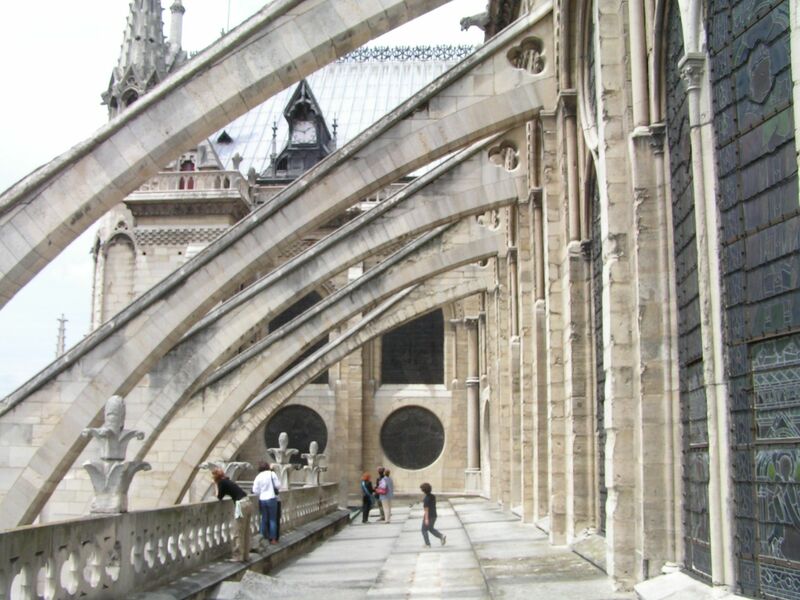 It is also known for the use of flying buttresses as seen below. The original design did not include these supports. As the building progressed, it became clear that this support was necessary and adjustments were made to include them. It is possible to climb winding narrow steps to arrive on parts of the roof. We have done that before but not this time. You can look down from above onto the long lines of waiting visitors who have their bags searched and are waned before entering. On our third and final visit to this beautiful cathedral, we met our son and his family. David was able to answer their questions about the architecture of the church and I walked around with my grandchildren. I showed them my favorite element of the church, the story relief around the choir depicting Christ’s life. Below, you can see the risen Christ appearing to his disciples in the Upper Room and then Doubting Thomas who had to touch Him to believe he was the risen Christ. The grandchildren knew many of the stories and I had a grand time telling them the others. Whenever I see these reliefs, I think of the illiterate believer of the Middle Ages walking around and reading the Bible stories by seeing the figures on the wall. I can’t leave Notre Dame in 2017 without mentioning the reality of the world of the 21st Century. Threats and acts of terrorism have made and appearance in the most beautiful city in the world. 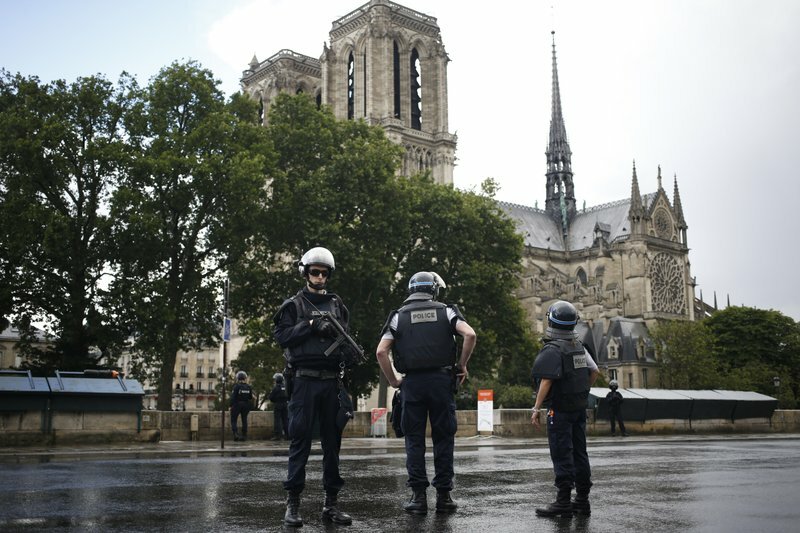 A man attacked a policeman outside of Notre Dame with a hammer on June 6, 2017. He was shouting, “This is for Syria!” Over 600 people were held inside the 12th century cathedral with raised hands until the all clear was given. As we walked around the church it was obvious that there was a strong police presence with groups of three officers together walking and all holding automatic weapons. A sad image of today! This entry was posted in Architecture, art, beauty, Designers /Designs, family, France, history, Paris, Uncategorized and tagged architecture, art, France, Notre Dam Cathedral, Paris, photography, relief, Rose Window, tourists. Bookmark the permalink. You are so right about it being sad about the attacks happening in our world including Paris. Thanks so much for stopping by and commenting. Have a great week! Indeed, Anne, what a sad image of today. But what beautiful images of the church. Thanks, Anne.